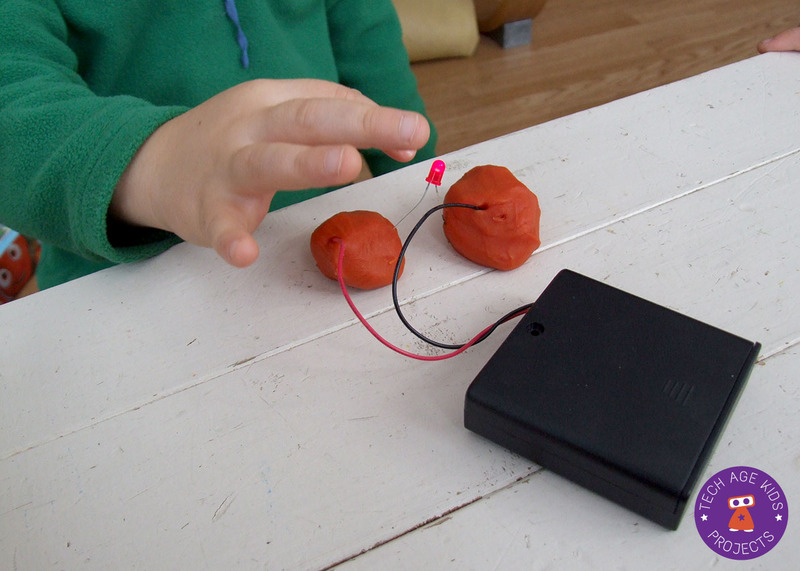 Playdough is great for so many reasons and now you can use it to teach the basics of electricity to your budding inventors. Really, you ask? Yes! 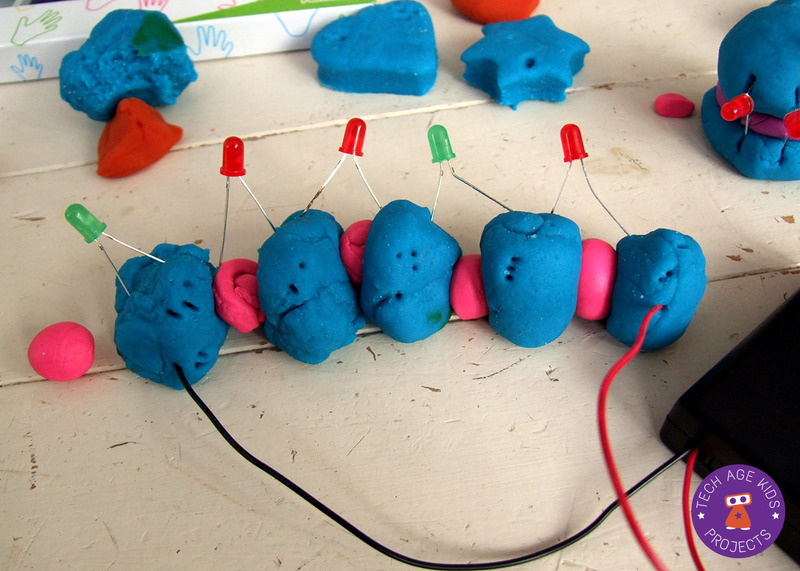 Squishy circuits, conductive playdough or electro dough are all names given to playdough that is conductive and with the addition of a few LEDs and a power source you have SUPERCHARGED playdough fun for the kids. 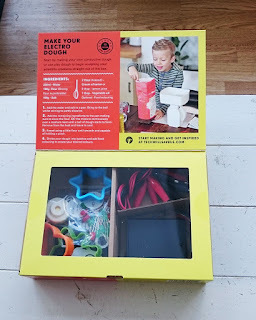 We received a set of Electro Dough from Technology Will Save Us which I used with my 5 and 7 year old kids to learn about circuits. I think it must be the designer in me, but I just love the Technology Will Save Us kit packaging. The colours and images invites you to take a closer look and unleash your inner creativity. OK, enough about the pretty box, what's inside? With the Electro Dough kit you'll get a power pack for batteries (not included - you'll need 4 AA batteries), LEDs, a buzzer, two tilt switches, crocodile clips, wires and 3 cookie cutters. You're given a recipe card for the dough which you can easily make with everyday items in your kitchen. The box is sturdy enough to keep as a storage unit for all your bits. You'll need an additional plastic tub to store your dough. If you make sure the container is sealed properly the dough will keep for weeks. We've made conductive dough before using a recipe from Code Club for a previous project - Conductive Playdough Pumpkin. Here we discovered lemon juice works really well and also preserves for weeks. For today's project we used the recipe provided in the Electro Dough kit. I made one batch using lemon juice and another using cream of tartar. The kids were keen to see which one will work the best. We added some bright food colouring - I use paste instead of the liquid food colouring as you get a much better colour without the liquid of the food colouring interfering with your dough consistency. There wasn't any visible difference on the brightness of the LEDs between the lemon juice / cream of tartar dough. Tracy did a test with her kids using a volt meter, and they got the same reading with both dough recipes. The dough with the lemon juice was a little more pliable and probably cheaper to make. Before we started playing with the Electro Dough, we discussed how circuits work. We've used Snap Circuits before so they understood that electricity likes to flow in a circle and if you break the connection, the light / buzzer will not work. 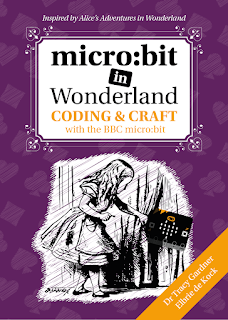 Learning about electric circuits can be great fun and at Tech Age Kids, we've written a lot about it. In simple terms an electric current (the electrons) flows through wires in a circle. A break in the circle (circuit) means the electrons can't get through and the device won't work. Electrons are quite lazy and they will choose the easiest route to complete their circle. So you need to think carefully about where you place your LEDs in your circuit to get the result you want. Trial and error is part of the fun of exploring circuits using Electro Dough. 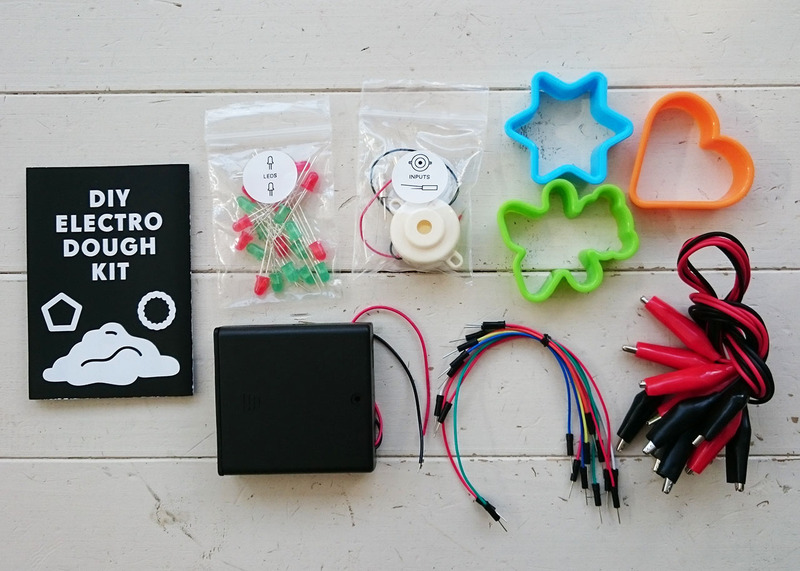 The Electro Dough kit includes a small pictorial brochure, which the kids enjoyed using to test out their circuits. They very quickly figured out what worked and tried adding more LEDs, test out the tilt switch using the crocodile clips and discovering by adding more LEDs the sound on the buzzer became softer. 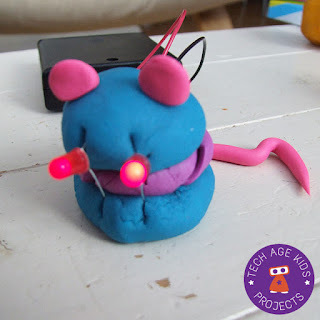 Soon the whole family got involved and we made a squeaking red-eyed Electro Dough Mouse. We used the conductive playdough (blue), non-conductive clay (purple and pink), the buzzer and two red LEDs. We discovered the buzzer was louder when we bypassed the LEDs. 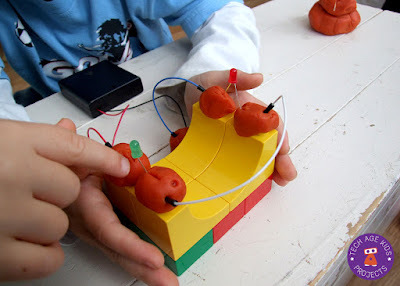 The Electro Dough kit by Technology Will Save Us, makes it really easy to explore circuits with playdough. 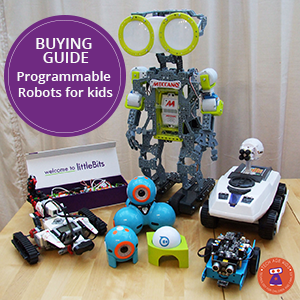 The kit contains everything you need, you just need to add batteries and playdough. Off course it is possible to buy everything in the kit separately and it will probably work out much cheaper. 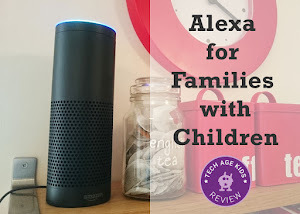 Some tech savvy families may already have some of the items in their homes. If you do, why not make your own DIY electro dough project with the kids. We liked having more than just LEDs in the kit. The buzzer was the most popular in our house. The tilt switches are also nice additions and encouraged the kids to explore more ways to stop and start the electric current. You get quite a lot of LEDs as unfortunately they are delicate and the pins can easily snap with all the bending. Although my 5 year old played along, I would not leave younger children playing unsupervised with the Electro Dough kit, due to small parts and playing with electric current (it is not dangerous as it is very low voltage). 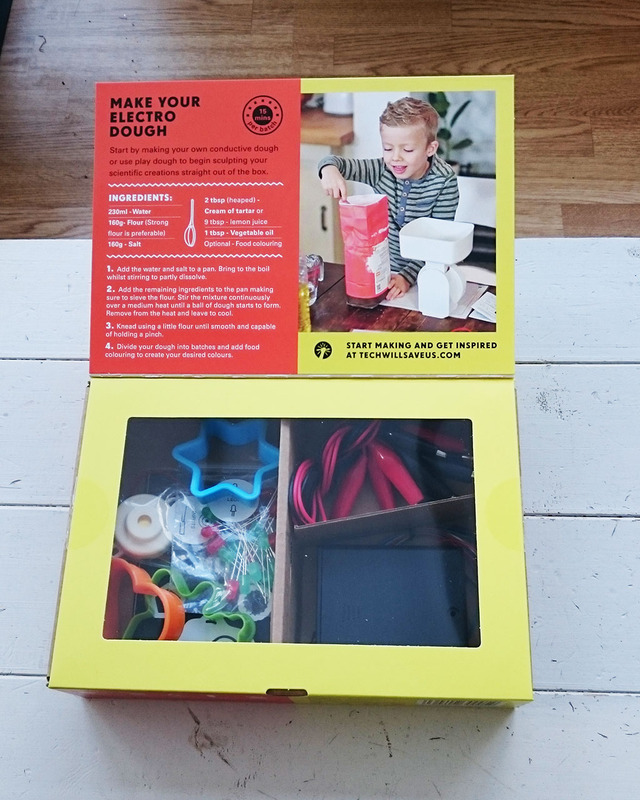 The Electro Dough Kit is available worldwide with free shipping for orders over $50. Samples were provided by Technology Will Save Us. All opinions are our own honest observations of the product.